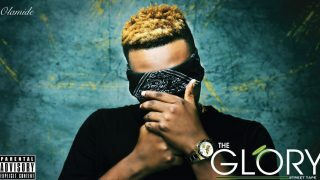 As we await OLIC3, Olamide joins force with the prolific “Lord of the Hook” – Burna Boy for Omo Wobe Anthem. Just like their previous collaborations, ‘Omo Wobe Anthem‘ by Olamide featuring Burna Boy; is nothing but a thrilling joint to get you in the groove. “Ma lo go, ma lo sun, lo ri titi ‘gboro” Burna Boy sings on the Pheelz produced piece. Olamide on his end did the usual but bar setting delivery. Just a matter of time before Omo Wobe Anthem becomes the 2016 street anthem. Guys assemble ur guys for dis anthem…attention! Nyc song. Olamide baddo is really killing it.